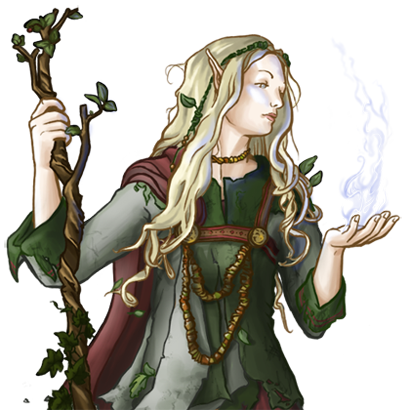 Experienced mystics are of great value in the Elven society. Their great knowledge of history and magic, tolerance and fair judgement is what is sought for in a leader or advisor. In times of need, they are in charge of assisting their lords with worthy advice or even support in the battlefield. But they have not finished learning yet, and still wander about the world, seeking for new questions to answer.